NWWC is a distinguished member of USA Wrestling and the premier Folkstyle, Freestyle & Greco-Roman wrestling club in Northwest Washington. Over the last eight years, NWWC wrestlers have amassed 689 State Championship Medals, 167 Individual State Titles, 60 USAW All-American Honors, 4 UWW All-American Honors, 5 Freestyle National Championships, 4 Greco-Roman National Championships, 2 Folkstyle National Titles and over $200,000 in College Wrestling Scholarships. 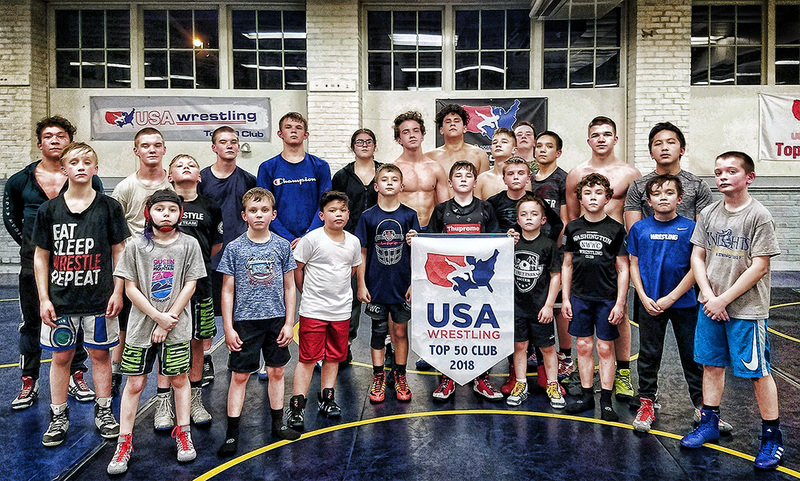 In 2019, NWWC was ranked among USA Wrestling's Top 50 Clubs nationwide for the seventh consecutive year (ranked #5). Follow this year's accomplishments (major tournaments) as they get posted below. 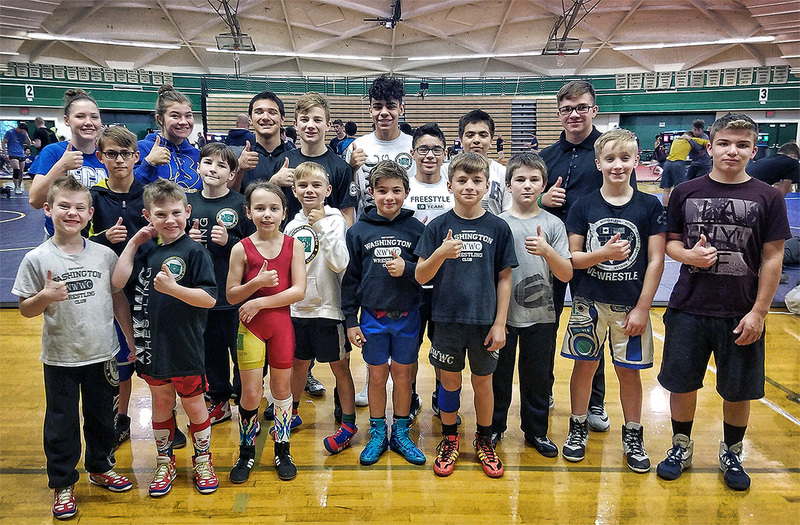 Thirty-five NWWC wrestlers traveled to Kent-Meridian High School on Saturday, April 20 to compete at the WSWA Freestyle & Greco Clash tournaments. Over the course of the 10-hour day, NWWC amassed fifty-three medals, twenty-five individual championships and the Freestyle & Greco-Roman tournament team titles. Congratulations to all thirty-five wrestlers; see individual results through the links below. 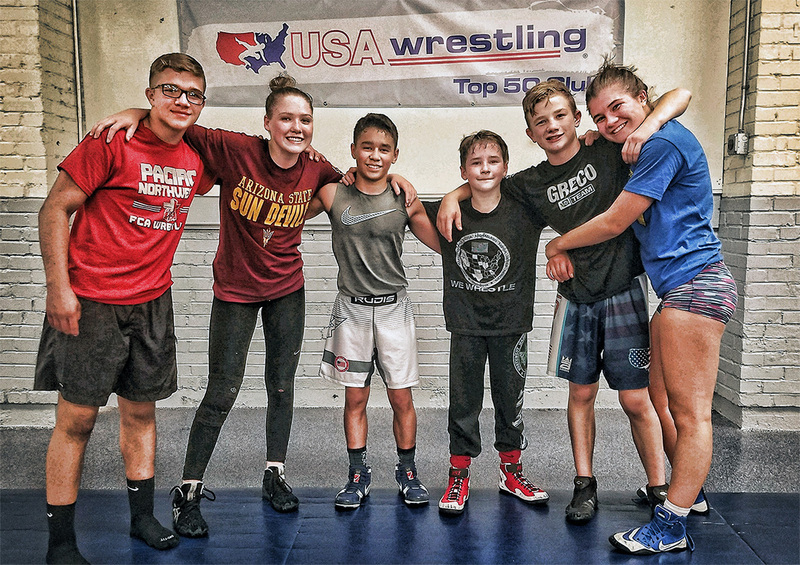 Three NWWC middle school boys traveled to Papillion, Nebraska over the weekend of April 12, 2019 to compete at the UWW U15 World Team Trials, while Addison Hunt of Belfair, age 9, stayed home and wrestled at the Pacific Northwest all-girls tournament. The Nebraska boys combined for twenty-nine matches and four UWW All-American honors. Ms. Hunt recorded thirteen victories and won the Outstanding Wrestler award. Congratulations to all four NWWC wrestlers. 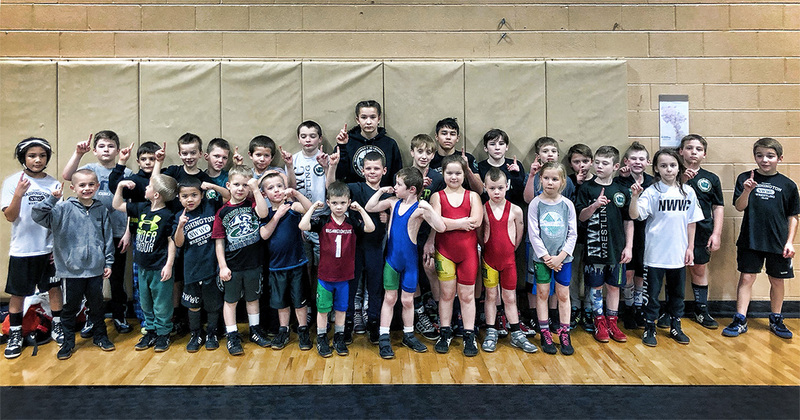 Eighteen NWWC wrestlers traveled to Elma, WA and two traveled to Sedro-Wooley to compete in four tournaments over the weekend of April 6th. Over the weekend, every NWWC wrestler earned a top-four finish, returning home with thirty-three medals, twenty-three individual championships and two tournament team titles. Congratulations to all twenty NWWC wrestlers. 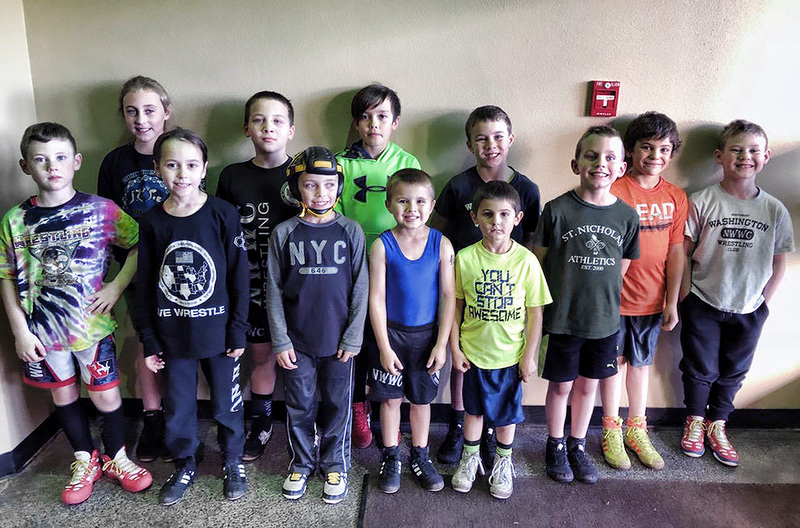 Thirty-one NWWC wrestlers traveled to three venues in two states to compete in six tournaments over the weekend of March 28th. Altogether, NWWC returned home with fifty-three medals, twenty individual championships and four USAW Folkstyle All-American honors. Congratulations to all thirty-one NWWC wrestlers. 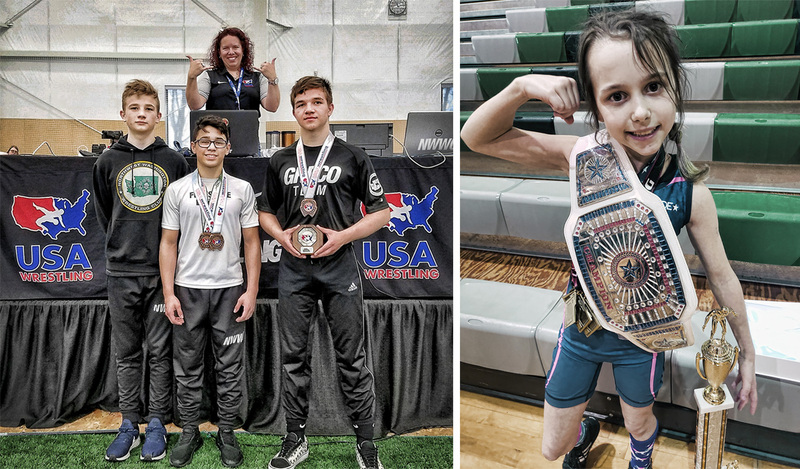 Thirteen NWWC wrestlers traveled to Centralia, WA over the weekend of March 22nd to compete at the 2019 USAW NW Regional Championships while Addison Hunt of Belfair, Age 8, earned her second All-American honors at the 2019 USAW Girls Folkstyle National Championships in Oklahoma City. Check out all individual results below. Congratulations NWWC wrestlers. 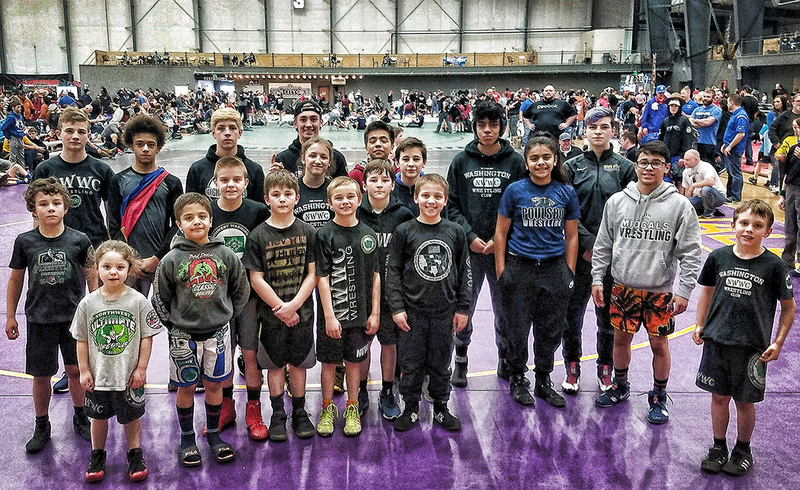 Forty NWWC wrestlers traveled to Centralia, WA over the weekend of March 15th to compete at the 2019 Twin City 3-Style Classic. As the three-day, three-style tournament came to a close, NWWC stood with forty-eight medals, twenty-three individual championships and four Triple Crown Awards. Congratulations to all forty NWWC wrestlers. 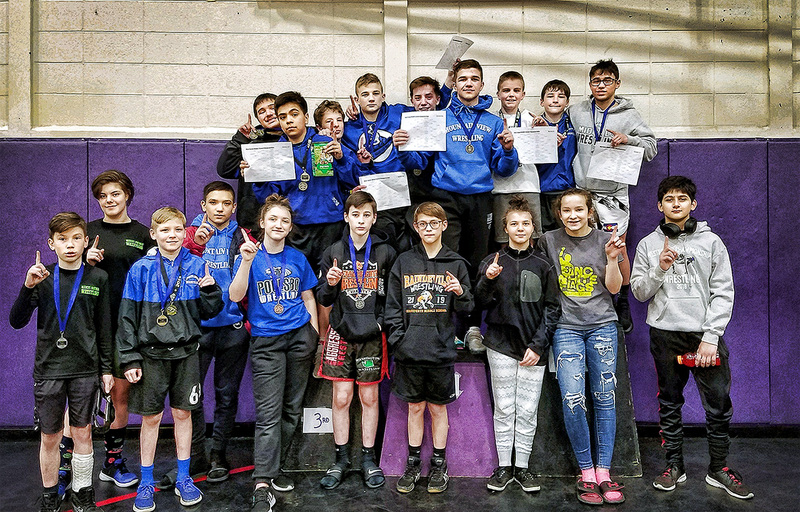 Thirty-two NWWC wrestlers representing nine local middle schools traveled to North Kitsap High School over the weekend of March 8th to finish the middle school wrestling season at the 2019 West Sound Middle School League Championships. Throughout the two-day event, NWWC wrestlers combined for twenty medals and fourteen individual championships. Congratulations to all thirty-two NWWC wrestlers. 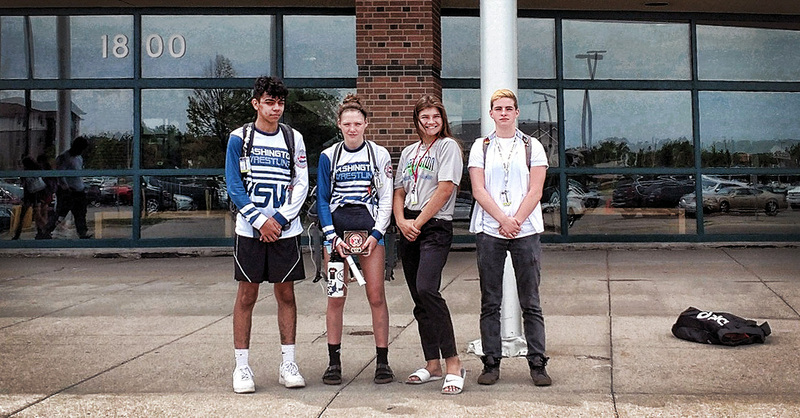 Twenty NWWC wrestlers traveled six-hundred miles to compete in five tournaments at two high schools during opening weekend of the 2019 Freestyle & Greco-Roman wrestling season. Sixteen NWWC boys traveled to White River High School on Saturday, March 2nd, to throw down at the Buckley Brawl while four NWWC girls traveled to Hanford High School on Sunday, March 3rd to compete at the Women's Columbia Cup. Altogether, NWWC returned home with forty medals and twenty individual championships. Congratulations to all twenty wrestlers. USA Wrestling ranked NWWC among the Top 50 clubs nationwide for the seventh consecutive year (ranked #5). Thank you for the new award pennant and congratulations NWWC. 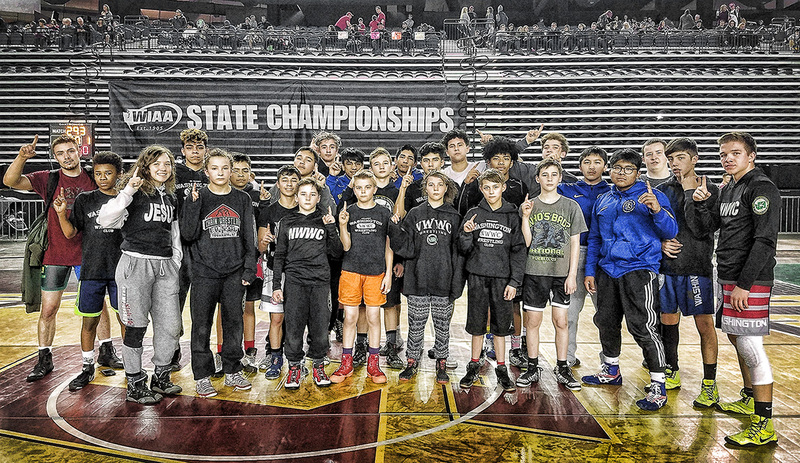 Seventy athletes representing the Olympic Peninsula and the mighty NWWC capped the 2018-2019 Folkstyle Wrestling Season with a trip to the Tacoma Dome on Sunday, February 17th to compete among Washington's top club wrestlers at the 2019 WSWA Folkstyle State Championships. Over the course of the day, NWWC amassed 310 matches, 1,426 match points, 197 wins, 72 pins, 48 medals and ten individual championships. The annual state tournament drew over 1600 wrestlers from 103 wrestling clubs throughout the state. As a team, NWWC finished First. Congratulations to all seventy NWWC wrestlers. 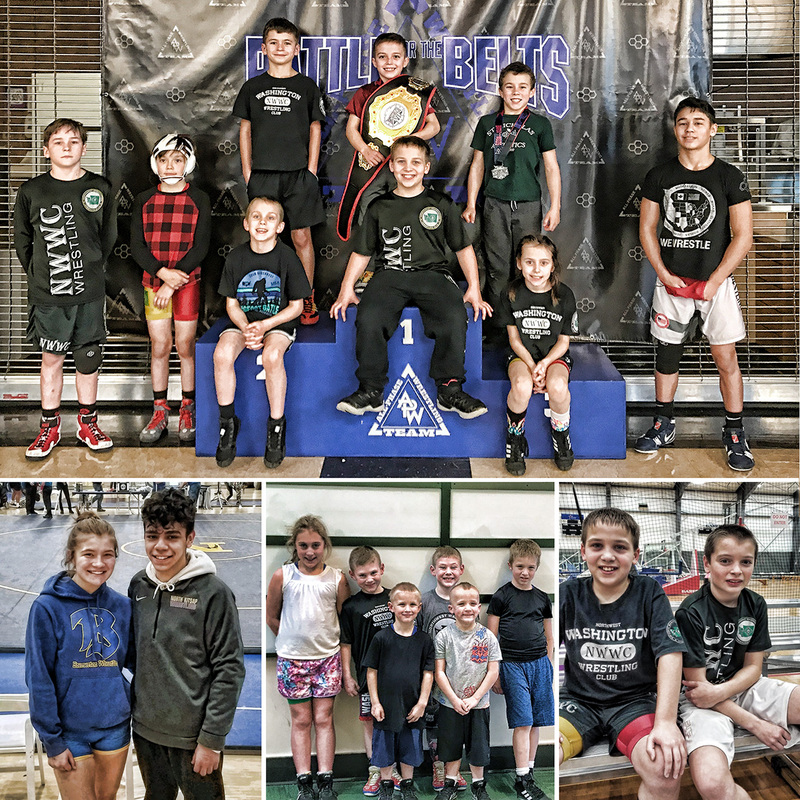 Three NWWC wrestlers traveled to Wildwood, NJ over the weekend of February 8, 2019 to compete for two great teams at the 2019 ACWA Wildwood National Duals. Together, Mitchell Neiner of Port Orchard, Lars Michaelson of Bremerton and Thor Michaelson of Bremerton racked up twenty-nine matches and recorded twenty-one wins over the three days of competition. Out of the forty competing national teams, POWA (Neiner) finished 10th and Rhino Strength (Michaelsons) finished 8th. Thank you Coach Adam Urenda and Coach Jeff Dickman, and congratulations to all three NWWC wrestlers. Thirty-six NWWC athletes traveled to three tournaments in two states over the weekend of February 2, 2019. Altogether, NWWC wrestlers combined for twenty-nine medals and fourteen individual championships. Congratulations to all thirty-six NWWC athletes. Twenty-nine NWWC wrestlers traveled to Kirkland, WA on Saturday, January 26th to compete at the Chain Wrestling Live Hard wrestling tournament. At the end of the day, NWWC brought home twenty top-3 medals, ten individual championships and the Chain Wrestling Live Hard Team Title. Congratulations to all twenty-nine NWWC wrestlers. Twenty-Three NWWC athletes traversed two mountain passes to compete at five tournaments in three states over the weekend of January 19, 2019. Over the weekend, NWWC earned thirteen medals, four trophies, nine individual championships, one State Championship and the Oregon Wrestling Classic 16U Tournament Team Title. Congratulations to all twenty-three NWWC athletes. 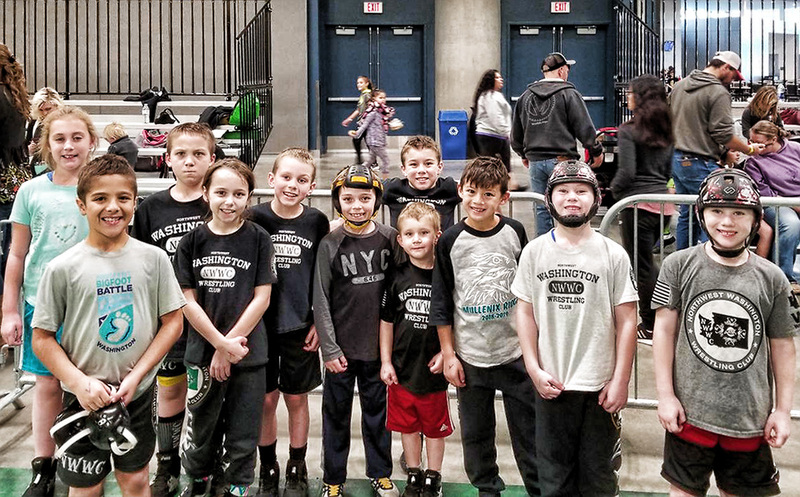 Thirty-one NWWC wrestlers traveled to Snohomish, WA on Sunday, January 13th to compete at the 2019 Bad Draw Oregon Classic Qualifier, and Preston Smith of Summerville, traveled across town to battle at the Green and Gold South Carolina State Qualifier. Between the two tournaments, NWWC earned nineteen medals, eleven championships and qualified fourteen athletes for the big show next weekend. Congratulations to all thirty-two NWWC wrestlers. Congratulations to the twenty-four NWWC wrestlers and coaches who labored over the two-week Winter Break to complete 3,000 push-ups and conquer the 2019 NWWC Holiday Push-up Challenge. 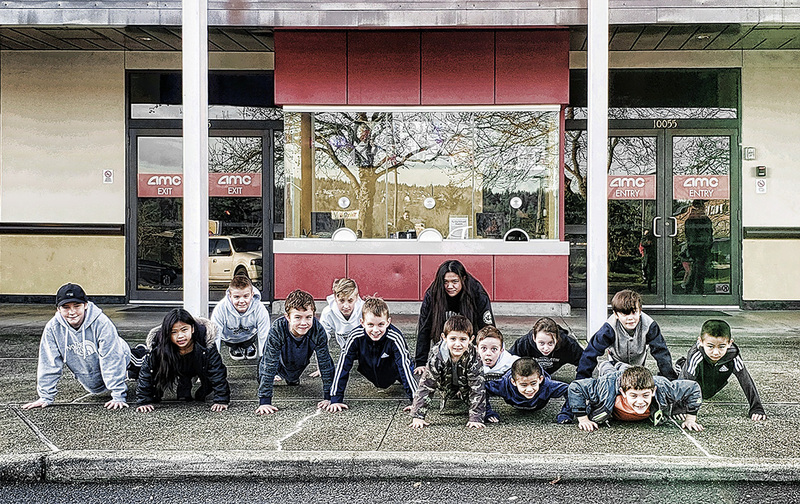 In victory, the 2019 NWWC Holiday Push-up Champions spent Saturday afternoon in leather recliners enjoying Bumblebee on the big screen. 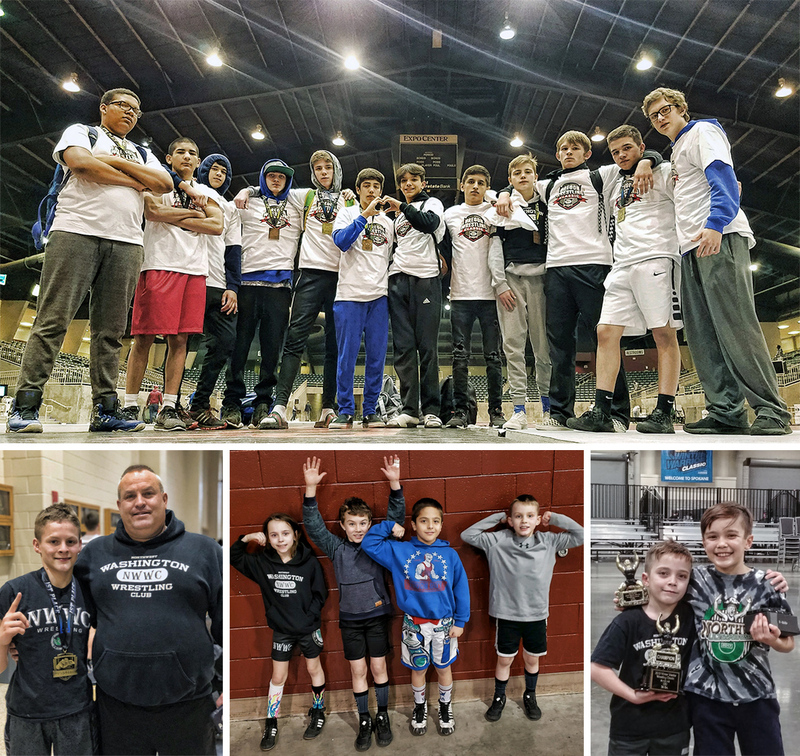 Twenty-seven NWWC athletes wrestled in three tournaments in two states spanning 900 miles over the weekend of January 4th. Combined, they earned twenty-four medals, two trophies and eleven individual championships. Congratulations to the following NWWC wrestlers. 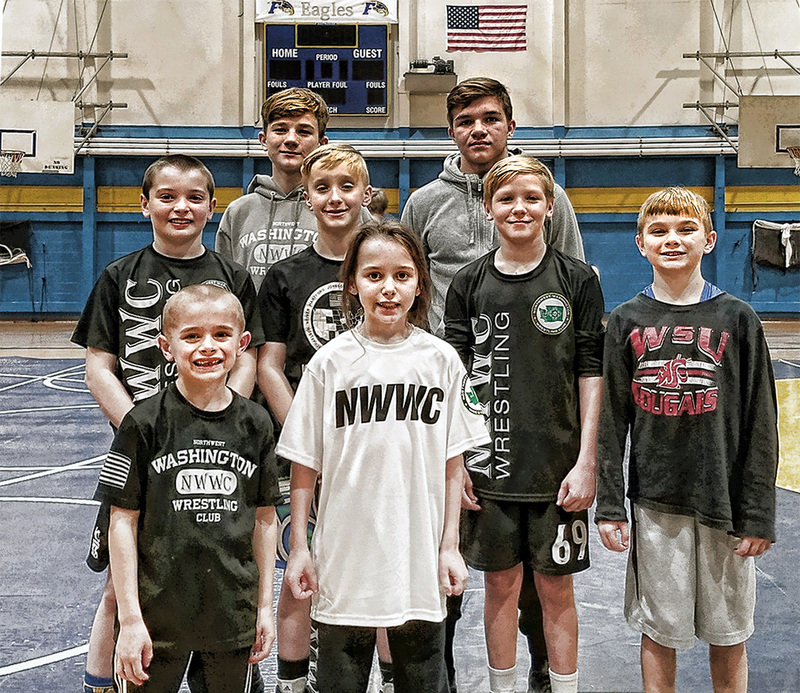 Eight NWWC wrestlers traveled north to Ferndale, WA on Saturday, December 29th to compete at the 2018 Battle for the Mats folkstyle tournament. After four hours of wrestling, NWWC had collected nine medals and four individual championships. Congratulations to all eight NWWC wrestlers. 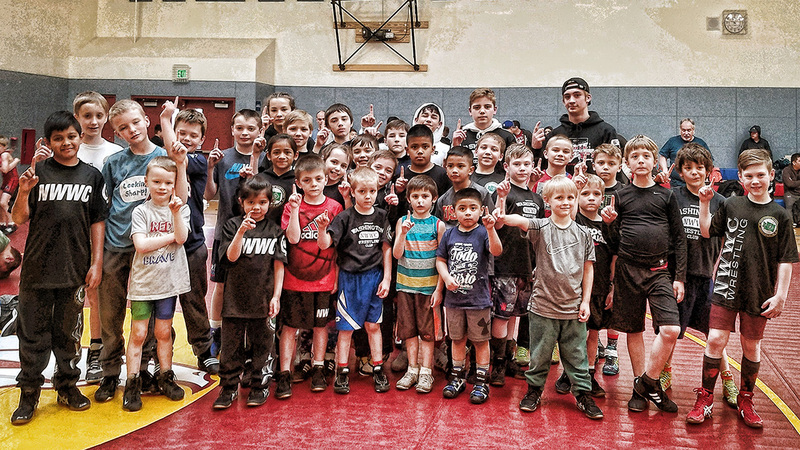 Twenty-five NWWC wrestlers traveled to Kent, WA on the morning of Saturday, December 22nd to compete at the Takedown Express folkstyle wrestling tournament. By Saturday evening, NWWC had earned 18 medals, 10 championships and the Takedown Express team title. Congratulations to all twenty-five NWWC wrestlers. With the high school wrestling season fully underway and USAW offering numerous events throughout the region, dozens of NWWC wrestlers are competing at multiple tournaments every weekend. This weekend was no exception with nine NWWC wrestlers competing in West Linn, OR, seven NWWC wrestlers competing in Mt. Vernon, WA, two NWWC wrestlers competing in Centralia, WA and over thirty NWWC wrestlers competing at various high school wrestling tournaments, like the Hammerhead in Bremerton, WA, where Bobby Gomez of North Kitsap High School (126 lbs) and Haley Michaelson of Bremerton High School (140 lbs) both earned individual championships. In total, NWWC wrestlers returned home from the weekend battles with 29 medals, nine individual championships and Dylan Sternod of Gig Harbor, age 9, lugged home a giant Outstanding Wrestler Belt. Congratulations NWWC wrestlers. 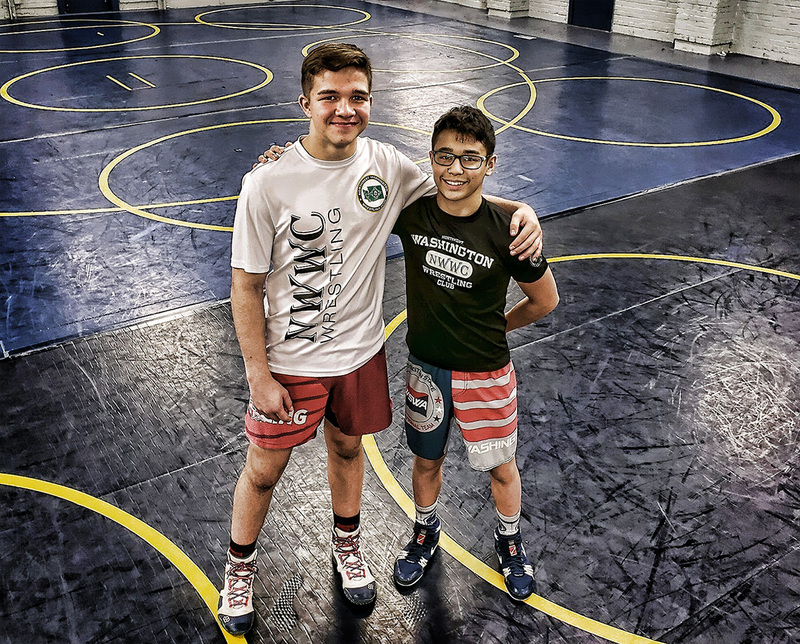 Representing the great State of Washington and the mighty NWWC, Mitchell Neiner of Port Orchard, age 14, and Thor Michaelson of Bremerton, age 14, joined the ranks of the 2019 Junior High Big Board and distinguished themselves among Flowrestling’s top-100 junior high wrestlers in America. Congratulations to both boys. Seventy-three NWWC wrestlers rolled out the red carpet and played host to over 500 athletes at the 8th annual Northwest Ultimate Wrestler tournament on Sunday, Dec 9th. As the battles progressed throughout the day, NWWC amassed 980 points, seventy-one pins, forty-two medals, eighteen individual championships and ultimately its third consecutive NUW team title. 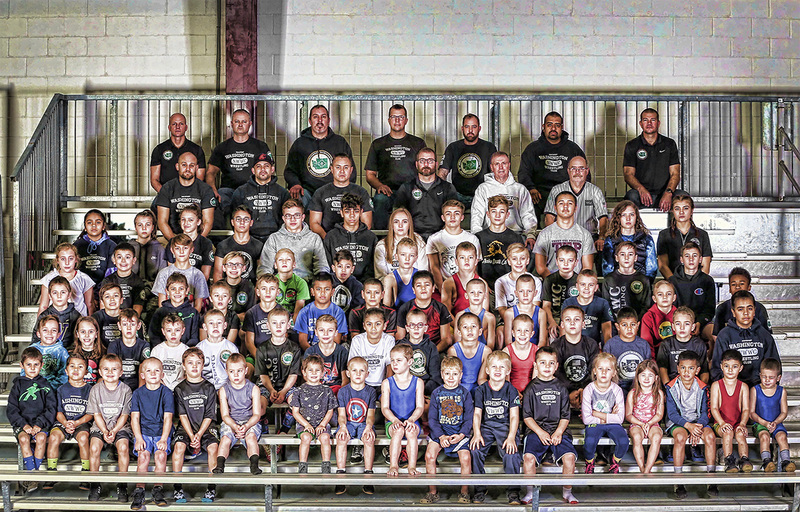 The 2018 Northwest Ultimate Wrestler drew over forty wrestling clubs from Utah, New Mexico, Oregon and Washington State. Congratulations to all seventy-three NWWC wrestlers. 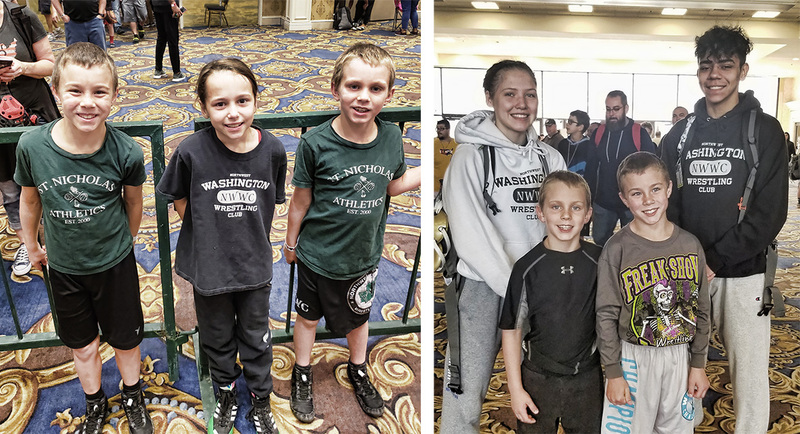 From sea-level to six-thousand feet, nine NWWC wrestlers traveled far and high to compete at two great tournaments over the weekend of December 1, 2018. Stone Hartford of Port Orchard, age 12, earned a 5th-place finish in the Middle School 83 lb division, and Addison Hunt of Belfair, age 8, earned the 9U 56 lb girls individual championship at the 2018 TOA-King of the Mountain tournament in Colorado Springs, CO. Meanwhile, back in Stanwood, WA, seven NWWC wrestlers earned six medals and five individual championships at the Stanwood Sting. Congratulations to all nine NWWC wrestlers. Thirty-two NWWC wrestlers traveled to Buckley, WA on Black Friday to battle at the Tough Guy tournament. Twenty NWWC wrestlers placed in the top-6 and nine wrestlers won their division. As a team, NWWC finished second. The Tough Guy, a PCJWL varsity tournament, drew nearly 500 youth wrestlers from 41 clubs throughout Pierce County and the surrounding areas. Congratulations to all thirty-two NWWC wrestlers. 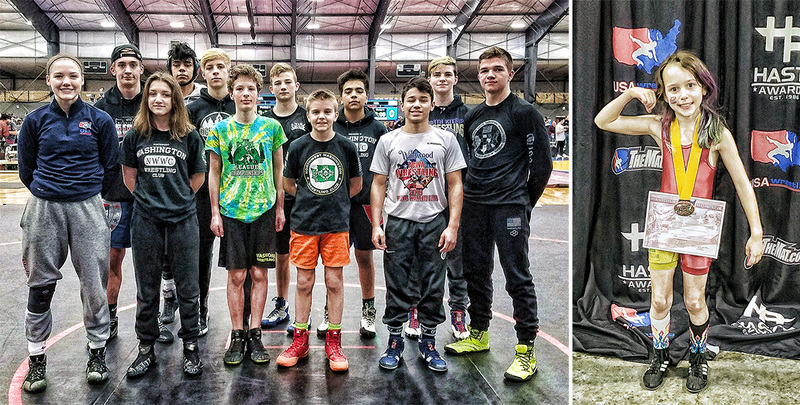 Twenty-one NWWC wrestlers traveled to Spokane, WA over the weekend of November 16th to compete at the 2018 TOA Northwest Bigfoot Battle. 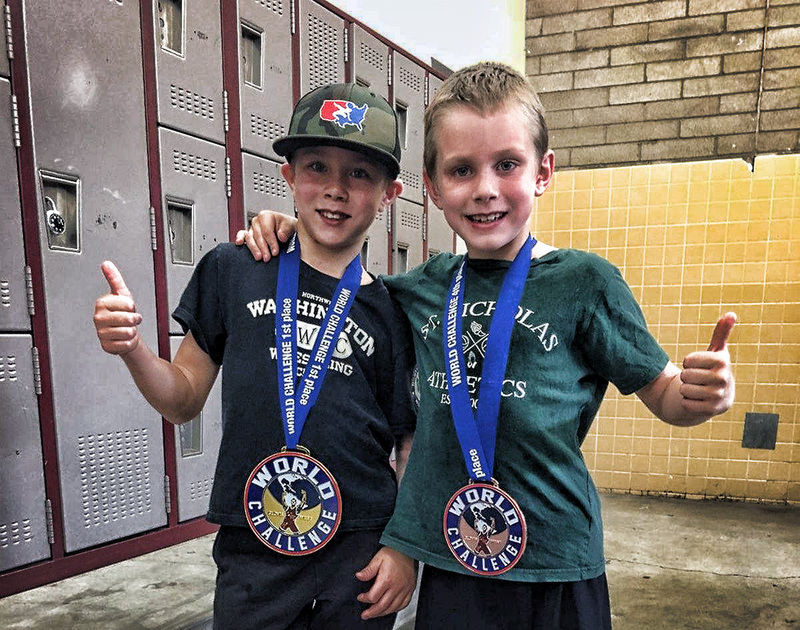 Thirteen NWWC wrestlers medaled including Samuel Moran of Gig Harbor, age 7 and Brendan David of Port Orchard, age 9, who both finished first in their division. 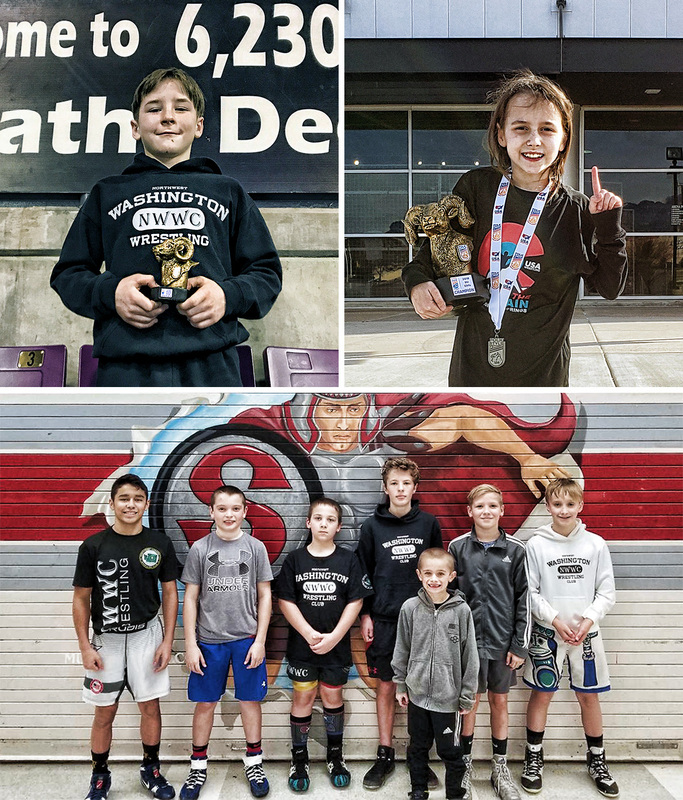 The Bigfoot Battle, a regional-level tournament and national-ranking qualifier, drew nearly 1200 top youth wrestlers from 139 wrestling clubs from Washington and the western states. Congratulations to all twenty-one NWWC wrestlers. Twelve NWWC wrestlers traveled over the mountains to Moses Lake, WA on Saturday, November 10th to compete at the Basin Brawl wrestling tournament. Throughout the day, NWWC battled in over fifty matches and after the Brawl was cleared, NWWC emerged with twelve medals and five individual championships. 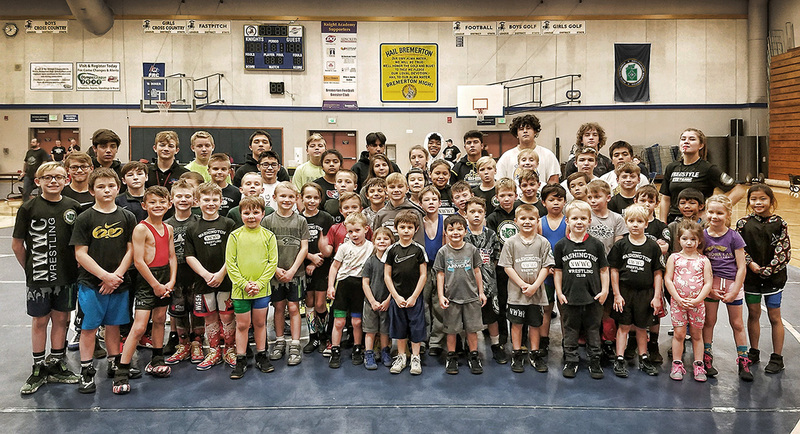 The Basin Brawl drew over 200 wrestlers from Idaho, Oregon and Washington State. Congratulations to all twelve NWWC wrestlers. 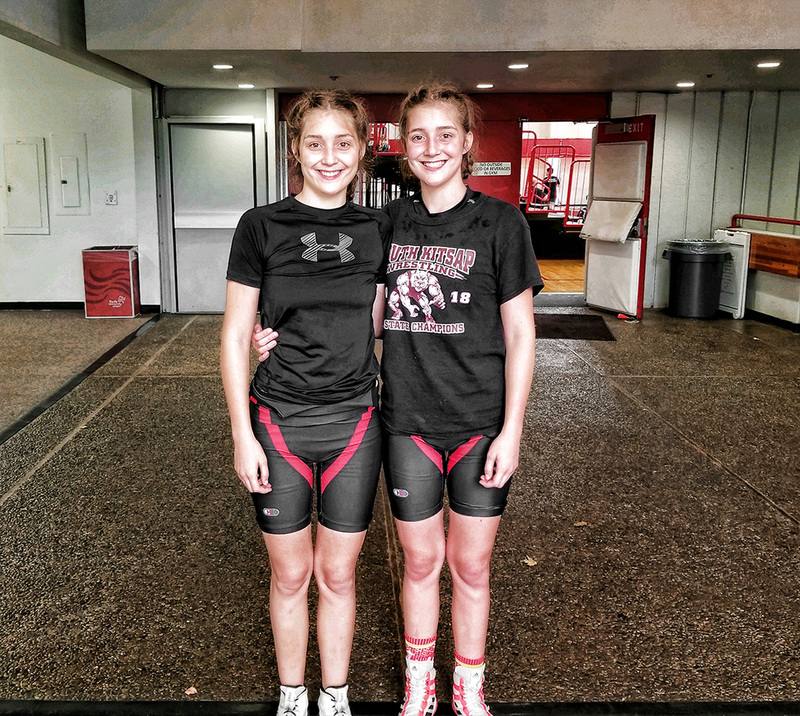 NWWC sisters Hailey Roberts and Brooklyn Roberts traveled to Forest Grove, OR on November 4th to compete at the 2018 Pacific Junior Open. Brooklyn avenged her twin sister in the semi-finals and bested the number-one seed wrestler in the High School Girls 125 lb division to finish second overall. Congratulation to both NWWC wrestlers. NWWC and eighteen other wrestling clubs showed up at Bremerton High School on Sunday, October 28th to cap the preseason with a showdown at the 2018 Northwest Takedown Championships. As a team, NWWC dominated the tournament with fifty-seven wrestlers earning fifty-one medals (top-3 finishes) and eighteen individual championships. Congratulations to all fifty-seven NWWC preseason wrestlers. Six NWWC preseason wrestlers traveled to the Westgate Resort & Casino in Las Vegas, NV over the weekend of October 19, 2018 to compete at the 2018 Freak Show wrestling tournament. 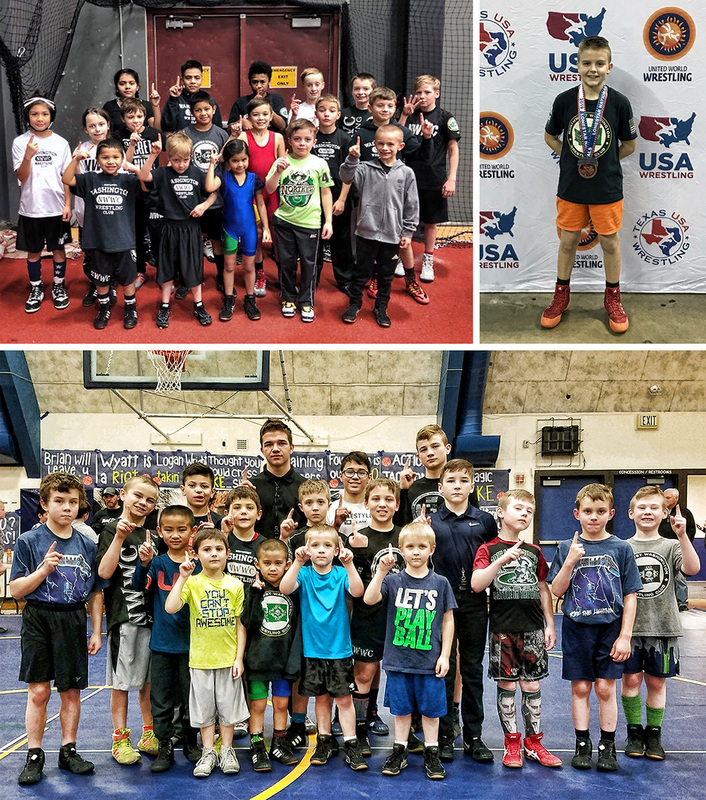 As a team, NWWC wrestled 30 matches over two days and returned home with three medals and one Freak Show Championship: William Moran of Gig Harbor, age 8, finished first-place in the 8U division. The sold-out tournament drew over 3500 youth and high school wrestlers from throughout the United States. Congratulations to all six NWWC wrestlers. Seventeen NWWC wrestlers traveled to Highline College on Sunday, October 14th to compete at the 2018 Thunderdome Throwdown wrestling tournament. As a team, NWWC earned fourteen medals (top-3 finish) and five individual championships. 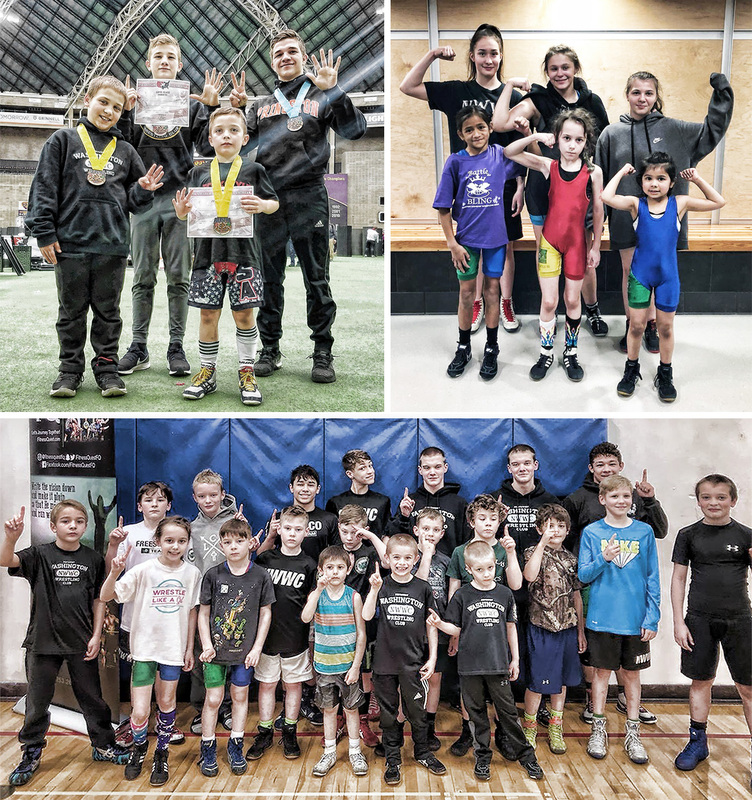 The 2018 Thunderdome Throwdown drew 228 youth and high school wrestlers from Washington, Oregon and British Columbia. Congratulations to all seventeen NWWC wrestlers. Two NWWC brothers traveled to Clovis West High School in Clovis, CA over the weekend of October 13th to compete among California's top preseason high school and youth wrestlers at the 2018 California World Challenge. Both brothers returned home with a medal; William Moran of Gig Harbor, age 8, returned home with gold. The California World Challenge drew 875 wrestlers and 20 college wrestling recruiters from throughout the West Coast. Congratulations to both NWWC wrestlers. USA Wrestling, the national governing body for the sport of wrestling, just released the year-end national rankings and six NWWC wrestlers made the exclusive list. Haley Michaelson of Bremerton finished #10 in the 18U 132 Womens Division, Holly Beaudoin of Poulsbo finished #13 in the 16U 112 Womens Division and out of the 12,869 athletes in the 14U division, Lars Michaelson of Bremerton finished #5 in 102, Mitchell Neiner of Port Orchard finished # 3 in 87 and Thor Michaelson of Bremerton finished #2 in 136. Rounding out the super six was Stone Hartford of Port Orchard who finished #8 in the 12U 82 division. The USAW Future Olympian Rankings are based off weighted points earned at qualifying regional and national tournaments. Congratulations to all six nationally-ranked NWWC wrestlers.